Nebraska’s Kenzie Maloney (11) eyes a Oregon serve in the first set on Saturday during the NCAA regional final at Maturi Pavilion in Minneapolis. Nebraska’s Mikaela Foecke (2) attempts a kill in the first set against Oregon on Saturday during the NCAA regional final at Maturi Pavilion in Minneapolis. "We could not be more excited to get the 2015 class on campus. They provide depth at all positions and should expect to compete for significant playing time. All four athletes are great competitors who are used to winning and competing at a high level” – John Cook, Nov. 12, 2014. That’s kind of how this all started, back when Nebraska volleyball coach John Cook announced the recruits who would join the team for the 2015 season. Does Cook say he’s excited about the recruiting class every year? Probably. But, man, did this class really end up being something, and was a significant part of maybe the greatest stretch in the program’s 44-year history. 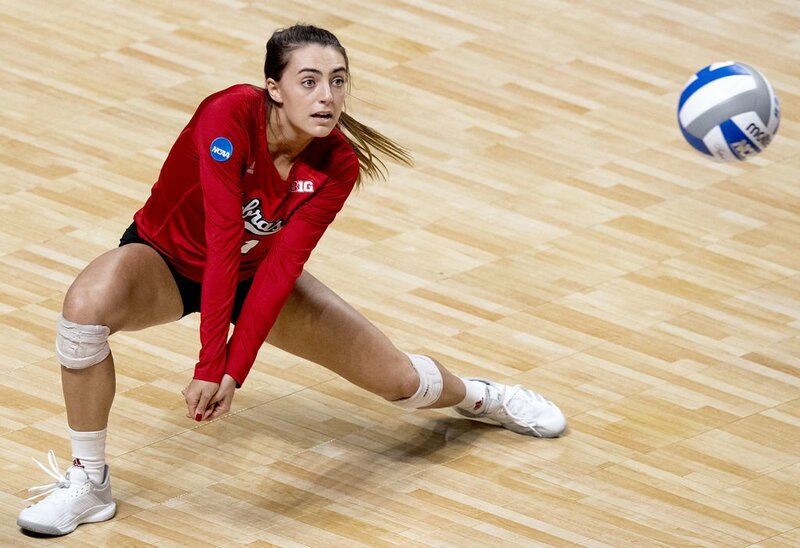 Nebraska’s two senior captains — libero Kenzie Maloney and outside hitter Mikaela Foecke — will end their career having never missed a NCAA Final Four. Their record in NCAA Tournament matches is 20-1, with two national championships already, and a chance for one more this week in Minneapolis. They also won two Big Ten titles. Nebraska advanced to the Final Four this year with a win against Oregon in the Elite Eight on Saturday in Minneapolis. Before Foecke and Maloney joined the team, Nebraska couldn’t get over the hump in the tournament, losing in the Elite Eight three straight years. The other players in the 2014 class were Brooke Smith and Tiani Reeves. Smith played for Nebraska for two seasons, left for one, and returned this year. Reeves left after two seasons with plans to join the track team. Foecke and Maloney’s career benefited from many great teammates in four years, from Kadie Rolfzen when they were freshmen, to Nicklin Hames now, but they sure did their part. Most college players will go four years without playing in one Final Four. “Coach has always said: 'That’s not typical. That’s not what an average person’s college career looks like, go to the Final Four every year,'” Maloney said. Foecke was a part-time outside hitter as a freshman, and the MVP of the Final Four played in Omaha. Maloney was a defensive specialist. Just as their roles on the team grew for their final two seasons, so did their relationship. They first met their junior year of high school when they were each starters on the U.S. youth national team. Foecke is from Iowa; Maloney from Kentucky. They weren’t close friends during their first year of college. It wasn’t that they didn’t get along, they were each just closer with other teammates. Now, Foecke calls Maloney, “her person” on the team. Maloney says Foecke is someone you can always count on. When they were freshmen, Cook wouldn’t have predicted the great leaders Maloney and Foecke would become. Part of that was because the team already had a great leader, Kelly Hunter. 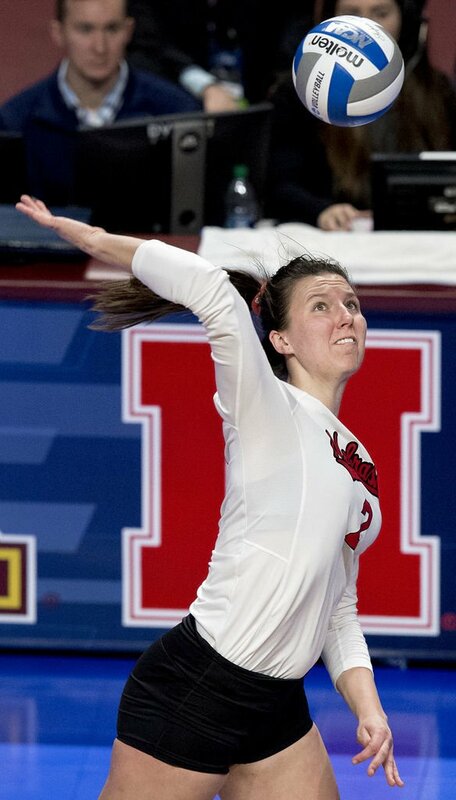 But when it was their time, Foecke and Maloney shared and modeled what they saw as the culture of Nebraska volleyball, and made sure their final season ended as good as the first three. “I have nothing but respect, and being a proud coach of those guys,” Cook said.